30-years ago it was considered irresponsible to use a market timing strategy to try and outperform the S&P 500. In recent years as investors have started to gain increased levels of access to historical data and the tools to develop effective trading models, it might now be considered irresponsible to not use a market timing strategy. At least that’s what famed investor and gambler Blair Hull believes, and his recent study on building a market timing strategy that predicts future returns, proves exactly that. 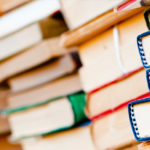 The goal of the study was to build a predictive model that is able to forecast the future months returns and construct a market timing strategy around that. Hull and co use a combination of 15 factors in the study that range from fundamental measures such as the change in inflation, to technicals like simple momentum and indices like the US Dollar Index. Hull uses an in-sample period of 1990-2003 to build the model and he fits it using Weighted Least Squares Regression. 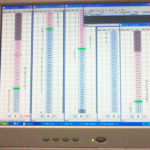 From there he adds new data each month as it becomes available and refits the model. This is known as stepwise variable selection. His out-of-sample period was then from 2003-2017. Weighted Least Squares Regression allows each of the variables to be allocated a coefficient depending on how relevant it is to the future returns. Typically only 5-7 were selected at each time. Some variables like Exchange Rate were almost never selected. Commodity Prices and Baltic Dry Index were important factors early but are now not so relevant. Currently, the National Association of Purchasing Index and the FRB Loan Officer Survey are playing an important role in the model. Depending on how well the model fits and how the predicted returns compare to the historical average, determines how funds are allocated to the S&P 500. Maximum of 150% exposure to the S&P 500 when the equity premium forecast is above its historical average. From 2003 to 2017, the one month market timing model achieved annualized returns of 16.6% with a Sharpe ratio of 0.92. In the same period, buy and hold S&P 500 had only 10% annualized returns and a 0.46 Sharpe ratio. 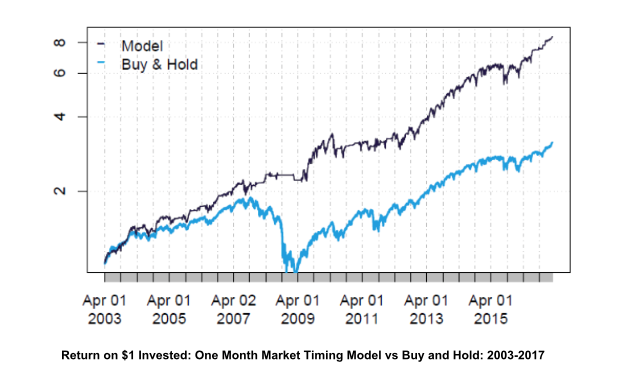 The maximum drawdown of the market timing strategy was 20% compared to 55% for buy and hold strategy. If you had a $1 investment in the market-timing model you would have turned that into $8. Compared to the S&P 500 which would have seen you end up with $3. 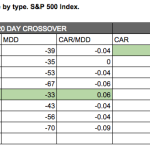 The one month model is able to outperform the S&P 500 in both bull and bear markets. It did especially well during the bull run of 2012-2015. The maximum drawdown of the S&P 500 during the GFC was more than 50%. 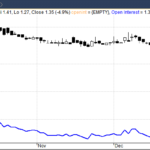 The one month model manages to only drawdown 20%. 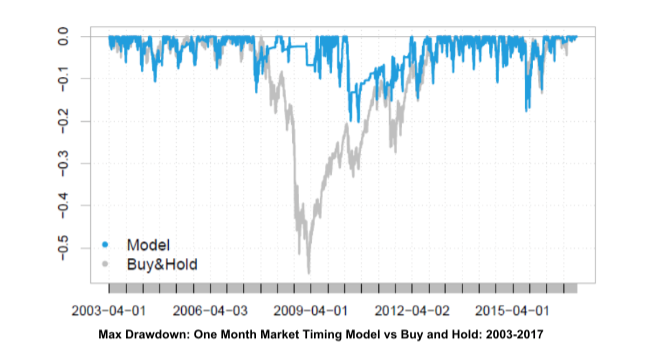 Overall the market timing model saw smaller drawdowns, in the vicinity of 5-10% and they typically only lasted a number of weeks. By combing the one month model with a 6-month model, the performance of the overall portfolio improves in terms of risk-adjusted returns. Hull has talked about the 6-month model in an earlier paper. 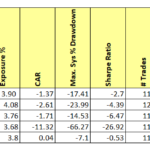 The highlight of combining the models is that the Sharpe ratio increases dramatically over the out-of-sample period and it’s significantly higher than the Buy and Hold strategy. The maximum drawdown is also reduced. One caution that should be remembered when dealing with strategies like these concerns the quality and timeliness of the historical data. Economic data is often released with a significant lag and this can lead to a form of future leak if the time difference is not taken into account. For example, unemployment numbers may refer to the prior month, GDP may refer to the prior quarter and some economic releases are revised after they are released. 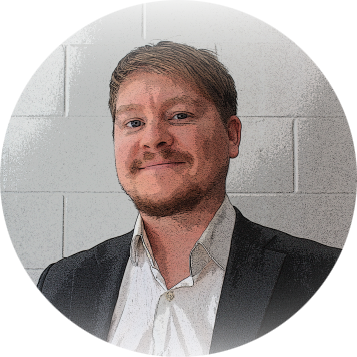 Needless to say, Blair Hull is an experienced practitioner and we trust that his work overcomes these issues even though there is little mention of it within the paper. 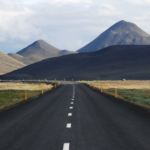 Overall, Blair Hull shows us that there is significant evidence here to suggest that a market timing strategy can lead to outperformance in the markets. And as with most investment strategies, adding in further diversification with multiple strategies can increase your risk-adjusted returns even further. What’s even better is that Hull and his team publish public forecasts for the model in their daily report. 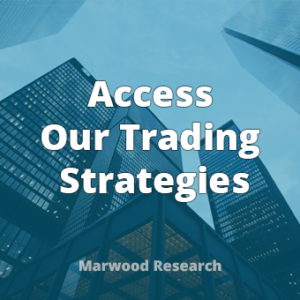 If you are interested in more trading strategy ideas, system code as well as a curated database of over 400 research papers please check out our program at Marwood Research – Access All Areas.